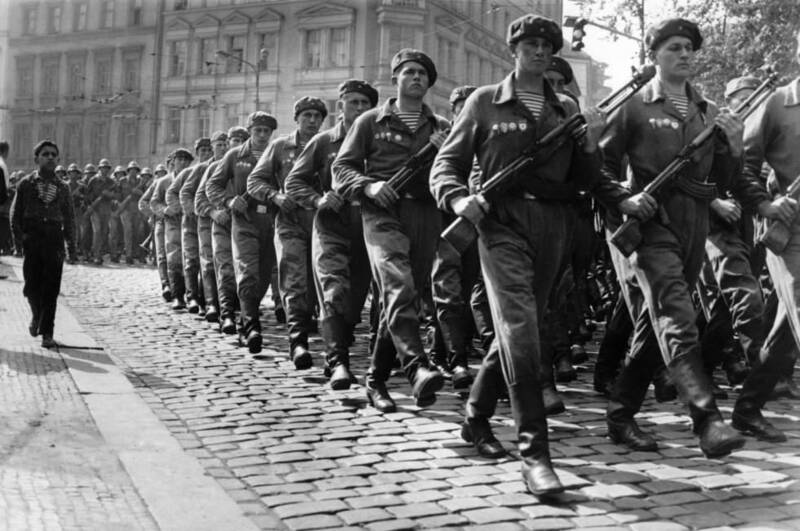 Prague Spring: Soviet troops march through the streets of the center of Prague after the occupation in Aug 1968. 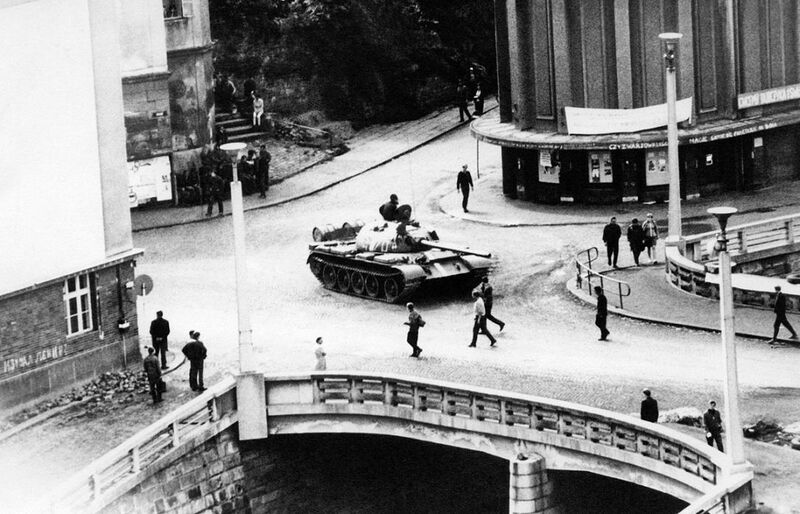 "A photo taken in Trutnov, Czechoslovakia, during a confrontation between demonstrators and the Warsaw Pact troops and tanks, which invaded the country in August of 1968". 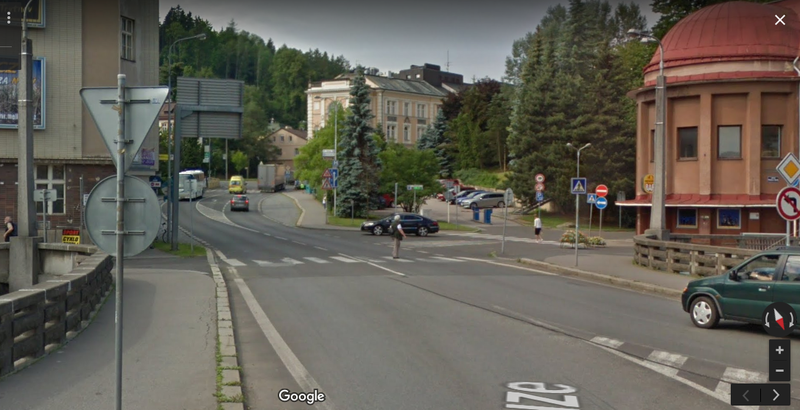 The same place on June 2017.